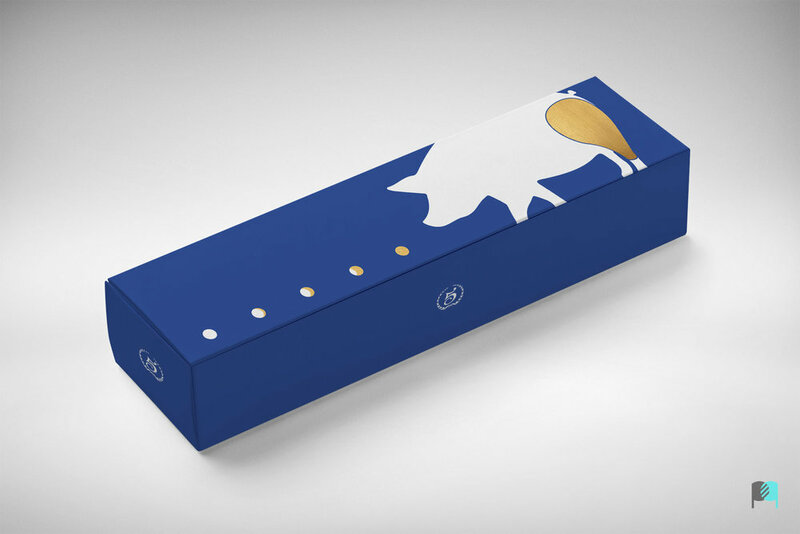 Packaging design for iconic maggie 5 mooncakes. Considerated as Shanghai best mooncakes, maggie 5 restaurant needed luxurious packaging matching high-quality products. I choose to highlight the ham part of the pig with golden texture. but revealing the number of mooncakes inside the packaging. In order to keep MAGGIE’S 5 mooncakes safe within the packaging, an additional cardboard element should be placed inside the packaging to encapsulate each mooncakes correctly.